An article from Newsweek . . .
A recent article from Newsweek magazine tells the story of yet another former leader of the discredited effort to provide “reparative therapy” aimed at changing sexual orientation. From the Washington Post . . .
A letter that might interest you . . .
From time to time a mailing comes to all PFLAG chapters with announcements, invitations or requests. We do not recommend most of them but this one might interest some of our newsletter recipients. You can check out the books on Amazon with the link below. I have published two books I hope you will consider reading. Both are revelations of my life experiences shared openly and unashamedly. My accounts are, at times, are shocking, but not to be provocative, only to tell the truth. When I’m open and honest, I find others are able to be open and honest as well. The first is entitled, “Why I Slept With My Therapist, How One Gay Man Tried to Go Straight.” It details a two-year period of my life from 1998 to 1999 in which I sought a professional Christian therapist to try to go straight. The second book, I just published two weeks ago, details the first twenty years of my life and is entitled, “Spring, the First Twenty Years, My Memoirs.” I was molested by an uncle at ages eight and nine. I had obsessive-compulsive disorder, and grew up Roman Catholic, the full combo! Cindy is a retired psychotherapist and family counselor, and also writes a weekly column for our local paper. She has been a valuable supporter of PFLAG Alamance for years. Give some thought to her request that is shared here with her permission. I am reaching out to friends who may be able to assist me in a new endeavor. I am seeking a part-time job, probably for 10 – 12 hours per week, and am really open-minded about it! I ran my own business for many years and my skill set includes: people, filing, telephones, light computer data entry, writing, among other organizational tasks. If you or your company have a need for someone like me, please give me a shout! PFLAG publishes some wonderful material to support our mission of support and education, and also you can support PFLAG’s national programs with shopping for some interesting stuff at their website. We give out many of their books on request, but they can be ordered directly by those who don’t necessarily come to our meetings. 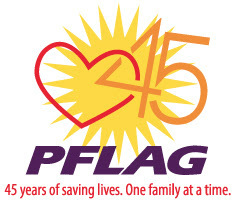 Sales of PFLAG books and merchandise helps support their work. 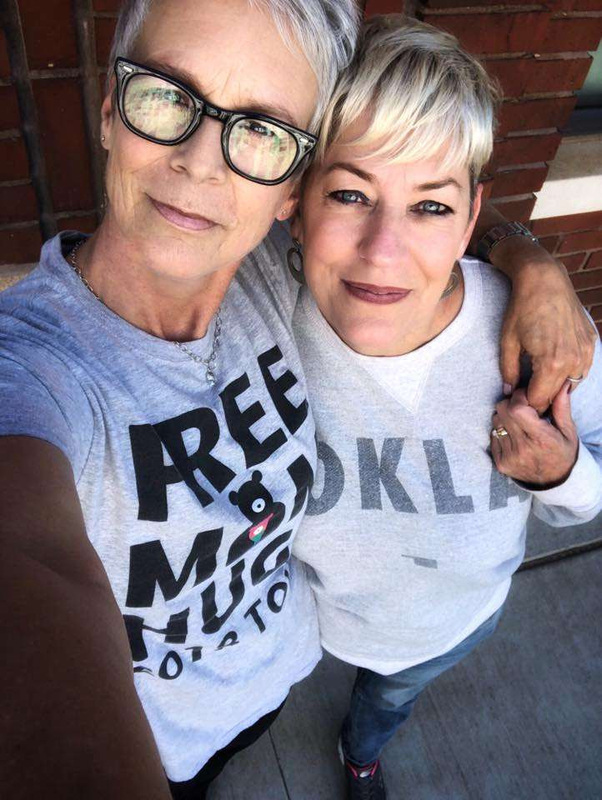 When you wear PFLAG apparel, jewelry and gear, you’re helping increase our visibility and helps spread our message to family, friends and your communities. Have an issue or concern that involves one of our public schools in Alamance County? Something with your child or one of his or her friends? Bullying, harassment or something else? 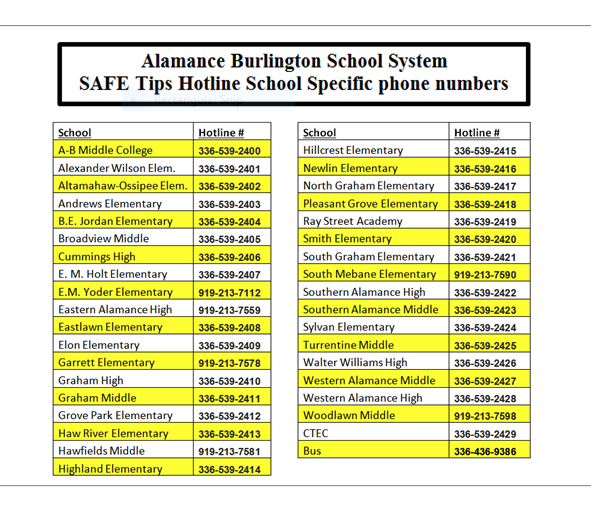 The School System has a hotline directly to each school. Keep this for your reference if needed.